CAST-IT is fully integrated at DLA’s Major Subordinate Commands: DLA Aviation in Richmond, Virginia and DLA Land and Maritime in Columbus, Ohio. CAST-IT is working to enhance procurement processes and resolve problematic casting procurements that affect our military readiness. 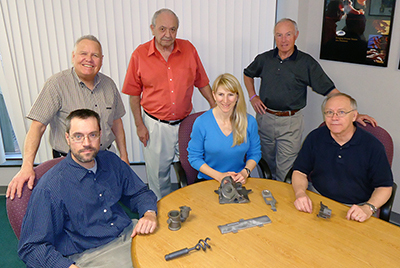 CAST-IT also provides on-demand responsive technical assistance to the Armed Services’ Engineering Support Activities (ESAs) to maximize the performance, economic, and sustainment benefits of metalcastings. Working with the major subordinate commands and the ESAs, CAST-IT is reducing lead times and costs associated with the procurement of castings. AMC is sponsored by the Defense Logistics Agency (DLA). AMC is managed by ATI, Advanced Technology International.